If you’ve even heard of it, soil remineralization may not be the most pressing topic on your mind right now. 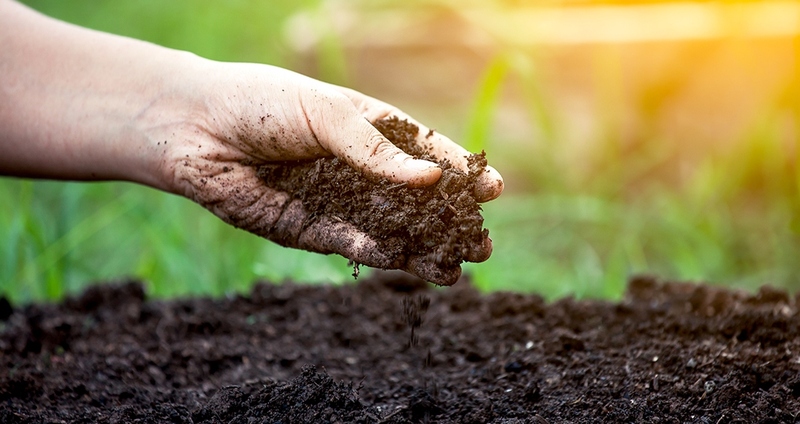 However, its impact—specifically, the way soil remineralization can improve the nutritional quality of our food—is probably something you care a lot about. Did you know that a head of broccoli today contains a fraction of the nutrients you’d get from broccoli a few decades ago? Same goes for fruit: you would need to eat about five apples today to equal the nutrition of one apple in 1965. This is because modern agricultural techniques strip many minerals from our soil. The efficiencies we’ve gained have come at the cost of food quality. When soil is lacking in minerals, certain metabolic enzymatic processes are inhibited. This makes the plants that grow in that soil less nutrient dense and more vulnerable to pests. As a result, we can no longer rely on our food to provide the vital nutrients and minerals required for balanced health. The only way to remedy this is by remineralizing our soil—literally returning minerals to the soil by mimicking the earth’s natural processes. Soil mineralization is a multifaceted challenge to which many environmentalists and scientists have dedicated their careers. However, it’s also something that you can help address in your own backyard. If you have a garden, you can remineralize your soil by simply applying rock dust (sometimes referred to as crusher dust or glacial gravel) to the soil. If you don’t have a full garden, you can also apply it to individual plants, like tomato, basil or other herbs. Rock dust is helpful because soil is naturally produced when rocks get crushed due to weather and natural erosion. In modern times, we can go buy crushed rocks at the store. If you’re someone who likes digging deep on these things, there is many-a-rabbit-hole to explore regarding what type of rock dust is best, and how much and how often to apply it. But if you just want to get started, check out this rock dust primer to get you moving in the right direction. Once you’re up and running with some rock dust, be prepared to watch your plants grow! Bigger plants are one of the clearest signs that your soil is becoming more fertile. As your rock dust works its magic, you may notice a significant increase in what your garden produces. Your fruits and veggies may also taste better, as minerals help to bring out the natural flavors in food. If all this talk of sprucing up soil gets you going and you want to get involved on a larger scale, check out Remineralize the Earth, a program that Natural Vitality has embraced since 2007 as part of its Calm Earth Project. Remineralize the Earth sponsors educational and action efforts designed to promote the use of glacial gravel and rock dust to restore natural minerals to our depleted soils.